Today is the second day of the Holiday Hullabaloo! Fourteen authors are joining together to give away 154 prizes in eleven days– with the final prize of a $200 Amazon of Barnes & Noble gift card on Day Twelve!!! 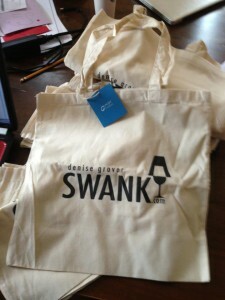 Enter MY giveaway for today: a set Heather McCorkle’s Channeler Series (eBooks) and Denise Grover Swank logo tote bag. Hope Collier: One mug and bookmark set from Kristie Cook. I love this giveaway!!!! So excited! Whoa, this is so cool! Thanks! I found out from Denise’s Twitter post! This is a great way to be introduced to new authors. This is also a lot more fun that baking, shopping, wrapping . . . Thanks for putting this together ! Love this, This is so awesome! I found out about the giveaway because I subscribe to several of the authors blogs. I found out about this giveaway from your Facebook page and your newsletter!!!! I found out through your blog and through Amber Lynn Natusch’s. Yay! I found out by Twitter ! From yours and Amber Lynn Natusch’s facebook pages! I am signed up for Christine Fonesca’s email list and received a message. I am very excited that I did. You guys all rock. I heard about the giveaway via email from Christine Fonseca. Thanks and Happy Holidays!